Geriatric research scientist, Kalpana Padala, MD, obtains a $1 million grant to improve exercise adherence by employing a novel technology for rehabilitation. Dr. Padala has always been a proponent of making exercise fun in order to make it a habit. 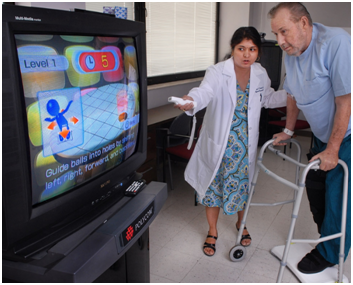 She has proven the benefits of Nintendo Wii-Fit in improving balance in the elderly in supervised settings. However, many of the same patients do not benefit from the program in home settings due to poor adherence, a widespread problem in exercise research. 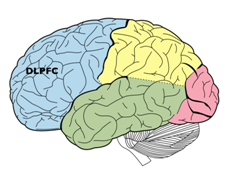 Exercise adherence is dependent on brain functions necessary for planning and following-through, known as executive function. Having found that focused magnetic stimulation of the front part of the brain improves executive function, Dr. Padala plans to use this innovative technology to improve exercise adherence in 106 older Veterans in the next four years. Dr. J.D. Day, Chair of Neurosurgery, and Dr. Indranil "Neil" Chakraborty, Director of Neuroanesthesiology, have teamed up for awake craniotomies since 2015, with a 100 percent success rate. In what may have been a first nationwide, they recently performed brain surgery on a patient who talked with his family via Facetime during the procedure, providing his loved ones with comfort and reassurance that all was going well. What an extraordinary example of enhancing patient- and family-centered care with technology and innovation!